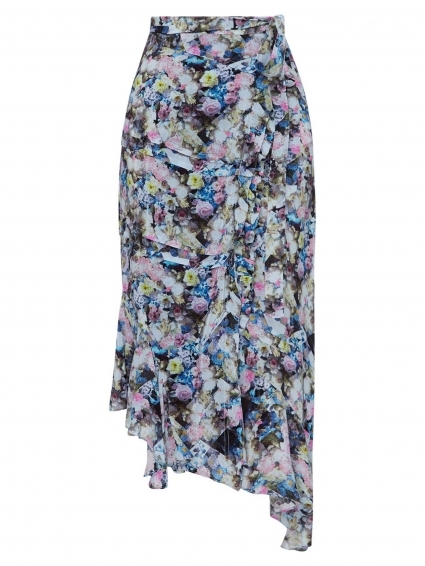 Relaxed and exceptionally feminine, the Daria floral skirt from Preen Line is sure to make a statement. 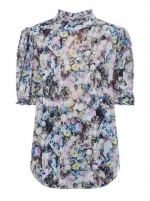 Cut to a wrap style in a midi length, the digital floral print is offset by a frilled asymmetric hem. Wear yours with a simple white T-shirt and simple trainers or dress up with a shirt shirt and heels.